We researched debt relief in Oklahoma City to jumpstart your search for debt consolidation or settlement. The best debt consolidation companies in OKC are National Debt Relief, Accredited Debt Relief and Freedom Debt Relief. These companies have low upfront costs, low consolidation fees and modest program lengths to help OKC residents take control of their finances. Everyone deserves to make thoughtful, informed purchase decisions. The local guides provided on this website are free for consumers. News9 may receive compensation from our partners. Learn more. We thoroughly researched consumer reviews and company information. While Oklahoma consumer debt remains below the national average, it increased slightly from around $15,800 to around $16,000 at the end of 2017. Oklahoma's mortgage debt went up nearly one percent to 7.2 percent in 2017, leading the way in the tenth district of the Consumer Credit Report. At around 14 percent, Oklahoma and the tenth district are well above the national average in consumer finance debt, and just above the national average in student loan debt, at nearly 17 percent. Credit card debt is one of the main culprits of consumer debt in OKC and nationally. Here's a snapshot of how Oklahoma City's credit card debt compares with the rest of the state and country. If you're one of thousands of Oklahoma City residents who struggle with getting their debt paid down and under control through budgeting and money management, don't worry. You have options. As the cost of living ticks up and the job market remains shaky, bills still come in and unexpected events happen. So how do you get out of debt? A lot of consumers turn to debt settlement or debt consolidation companies in Oklahoma City to find financial relief. Debt settlement involves negotiating your debt to a lower balance, while debt consolidation entails getting all of your consumer debt into one, manageable loan. It's important to note that you can only settle unsecured loans; secured debts like your mortgage, auto loan and homeowner's equity line of credit can't be negotiated. Debt settlement companies negotiate with your creditors with the goal of settling your unsecured debt for less than what you owe. While this can help you get rid of persistent calls from debt collectors, debt settlement has a lot of downsides, including charging additional fees, taking longer than debt consolidation and negatively impacting your credit score and credit report. In addition, you might have to claim your forgiven debt as “income” on taxes. Debt consolidation and debt settlement might sound like the same thing, but they're actually very different. Debt consolidation is the process of combining debts from multiple creditors into one loan to pay them off, ideally at a reduced interest rate and an affordable monthly payment. Since you're still paying the full amount of debt owed, you'll avoid a negative impact on your credit score and credit report. Simplified process: One of the obvious pros to consolidating your debt is the fact that it simplifies your process for paying bills. Instead of keeping up with multiple payments, you combine them into one monthly payment. Savings: Your single, new loan should bring with it a lower interest rate and principal amount, giving you a more affordable monthly payment. Avoid credit damage: Debt consolidation plans let you avoid negatively impacting your credit history in the long run, since you're still paying off the entire amount of your debt. It might, however, cause your credit score to temporarily drop while you're paying off your consolidated amount. The debt remains: Since consolidating debt just means lumping your payments into one loan, you still owe the full amount of your total debt. It's not forgiven or reduced. You'll need to tighten up your finances: Since you still owe the same amount of money, you'll need to tighten up by decreasing your spending and increasing your payments. If you use credit before you pay off your consolidated debt, you're dangerously digging yourself into a deeper hole. It will take some time: Expect to spend anywhere from two to five years in a debt consolidation program. In some cases, you can end up paying more than what you originally owed (even with a lower interest rate) due to the amount of time it takes to pay off a consolidated loan. Sometimes called a wage earner's plan, Chapter 13 bankruptcy is an option for people who earn regular income to repay their debt by working out a payment plan with their creditors. Debt consolidation and bankruptcy are very similar with one major distinction: Any additional income you earn during bankruptcy must go towards your creditor repayment plan. Chapter 13 bankruptcy plans typically last around three to five years and stay on your credit history for 10 years. Bankruptcy is viewed as a last-ditch resort and should be avoided if possible. Debt consolidation is a popular way to avoid bankruptcy. With debt consolidation plans, you don't have to pay anything other than your predetermined monthly payment. 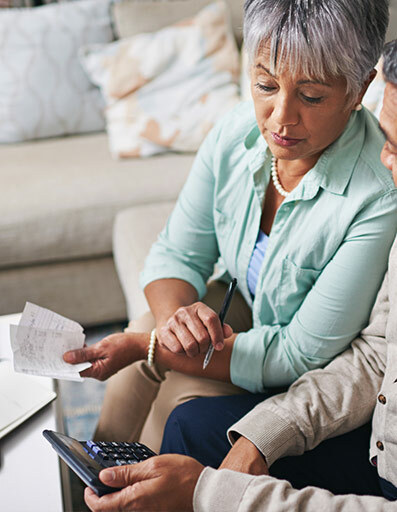 Consolidating your debt can cause your credit score to dip down while you're paying off your debt, but you can rebuild the damage once you've completed your plan. How much your credit score will dip depends on the method of consolidation and the amount of your consolidated loan. Oklahoma City residents with a significant amount of debt should contact a debt consolidation company to discuss options to avoid Chapter 13 bankruptcy. National Debt Relief is nationally recognized as one of the largest debt settlement companies in the country. Its team of professionals are knowledgeable of the differing state laws when it comes to settling debt, making them a popular option for Oklahoma City residents. Online reviewers in Oklahoma City love National Debt Relief’s attention to customer service. Accredited Debt Relief specializes in debt relief options like debt settlement, counseling, management and bankruptcy. They specialize in customizing debt consolidation plans for each client’s unique situation. Online reviewers in Oklahoma City appreciated their credit counselors' willingness to listen and be transparent. Freedom Debt Relief offers multiple debt relief options including debt settlement, credit counseling and cash-out refinancing. It works with you to customize a debt relief plan you feel comfortable with. Oklahoma City residents who used Freedom Debt Relief appreciated the ability to set their own monthly payments and the transparency from their credit counselors. CareOne Debt Relief Services specializes in providing debt relief and debt consolidation plans tailored to each individual’s circumstances. Debt relief plans feature a dedicated counselor who’s knowledgeable about your state’s regulations. Oklahoma City residents who’ve written online reviews appreciate CareOne’s transparency and thoroughness throughout the entire process. Credit Guard of America works with Oklahoma City residents to lower their debt through a personalized debt consolidation program. Your credit counselor will get your debt consolidated into one affordable loan without the need to take out additional loans. This eliminates you having to pay additional interest over time. USE Federal Credit Union offers Oklahoma City residents debt consolidation loans to help manage debt by lumping it into one monthly payment. It boasts competitive fixed interest rates and monthly payments that work with your budget. If you’re considering a debt consolidation loan in Oklahoma City, Bank of Oklahoma will work with you to see if one is the right move for your circumstances. They’ll discuss your debt consolidation options like low-interest credit cards, home equity loans or debt consolidation loans. Consumer Credit Counseling Services of Central Oklahoma (CCCOK) is a non-profit credit counseling agency in Oklahoma. It offers Oklahoma City residents with a Debt Management Plan (DMP) and credit counseling – either online, in person or over the phone. Multiple online reviewers say CCCOK took them from nearly filing for bankruptcy to a DMP that was affordable. FinancePoint has been offering non-mortgage loans to the Oklahoma City area for 15 years. Whether you’re looking for debt relief from credit cards or you’re looking to consolidate payday loans, FinancePoint will get you set up with a debt consolidation loan. Online reviewers appreciate how upfront and honest loan officers were. Debt Reduction Services offers Oklahoma City residents free counseling and budget advice in addition to debt consolidation and management plans. You can chat with a debt counselor online to get an idea of how a debt consolidation plan will work for your unique situation. You can get a free quote and schedule an appointment online. Our partners independently research companies, and use editorial discretion to award companies with special recognition (i.e. Best Value) based on their staff’s judgment or subject matter expert’s judgment. Our partners do this to help you identify companies that will meet your specific buying needs, and do not receive compensation for these designations.